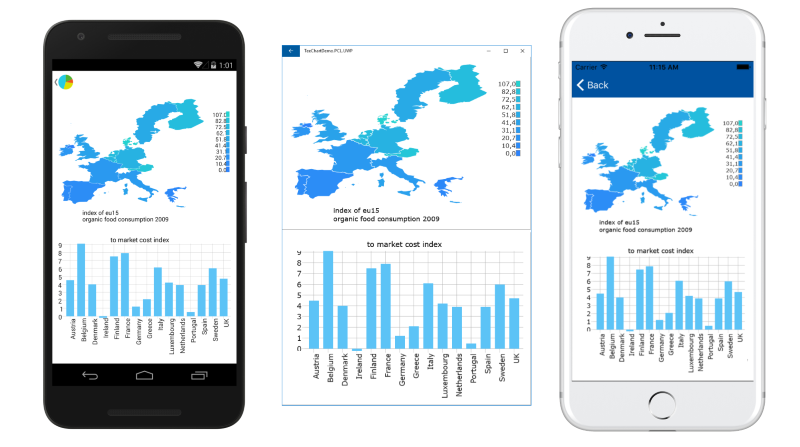 TeeChart Charting Controls for Xamarin.Forms offer full set of 60+ Chart styles in 2D and 3D, maps and gauges, 50+ financial and statistical indicators and a full set of Chart tools components for additional functionality. TeeChart is fully interactive, supports custom-drawn client elements on the canvas and offers 2D and 3D charting options for a range of applications types, from high-speed real-time & financial, scientific & business, to presentation graphics. The TeeChart for for Xamarin.Forms license provides support for Android, iOS and Universal Windows Platform (UWP) and includes a renewable one-year subscription service that entitles customers to free updates and technical support service. Source code is available as an option to buy. Maximus Palm +Pc (Popularity: ) : Now with a PC companion. cryptowolf (Popularity: ) : A new cryptocurrency app that tracks all the coins, with a graphical alert manager and the ability to compare any coin with any other. SSuite Fandango Editor (Popularity: ) : This extremely lightweight professional WYSIWYG word processor is fully featured and able to open, edit, and save *.html documents without a problem. It is both a reader and creator of HTML documents.